While the Finger Lakes has become a dream destination for Mike and I, there is another place that has called me home (and continues to call me home) since I first crossed its borders. 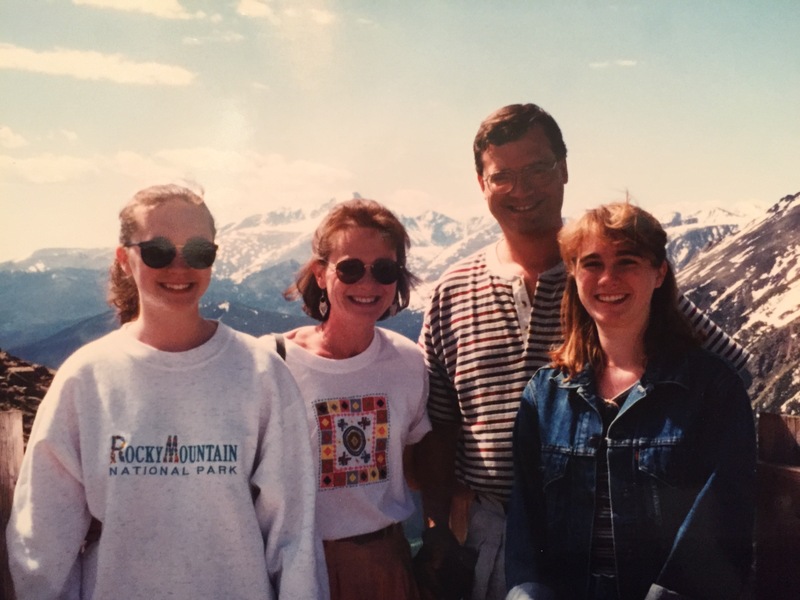 The first time I saw the Rocky Mountain line along the horizon in Colorado I was a little older than Mr. N. My parents, sister and I set out for Estes Park, Colorado in the summer of 1989…and again nearly every summer after that. These road trips were the beginning of my passion for travel. 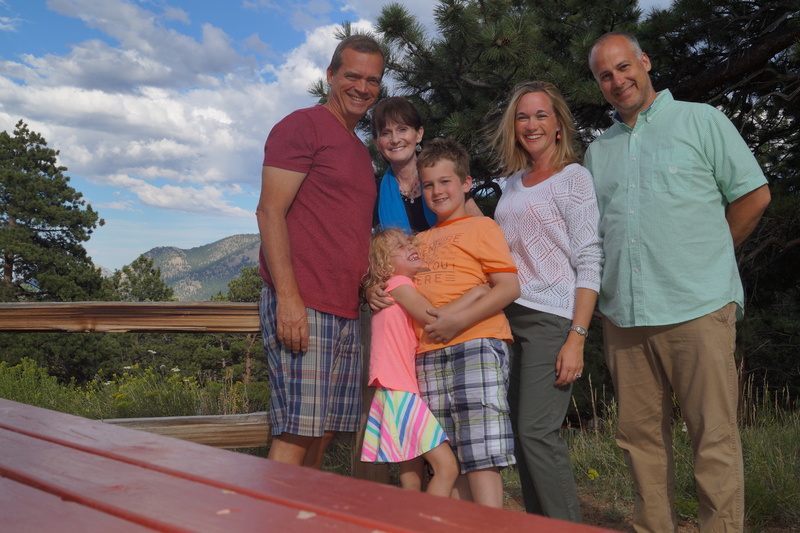 They ignited my love of the mountains and taught me the value of family time. But, as most of you may recall, the teenage years are ripe with drama. So while our trips were full of fun, hikes, exploration and adventure; so too were they ripe with boys, friends, hormones, the certainty that your parents are out to embarrass you or ruin your life, and did I mention boys? Oh if the walls could talk, our little cabin in the woods would echo with laughter, crying, singing, silliness, sarcasm, exasperation, love, jokes and all the things that weave families together. We spent our summers hiking, playing, exploring, and sunning all while taking in the aroma of pine, the rush of the wind moving through the trees and the grandeur of the mountains all around us. I may also have spent some time huddled in a phone booth calling my boyfriend back home. (How dare my parents separate us for two whole weeks!) And I might have held my sister hostage at the top of a very high teeter totter while laughing hysterically; or screamed, also hysterically, for my dad to come kill a giant spider in our bedroom. Oh the angst and drama of the teenage years! We’ve continued to visit our mountain respite. 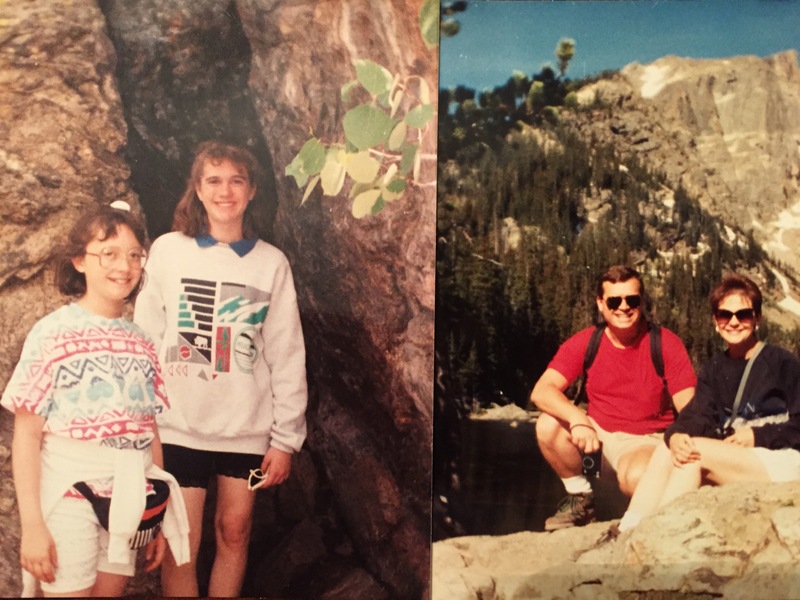 Through the college years, my parents made it west with my sister, then on their own. 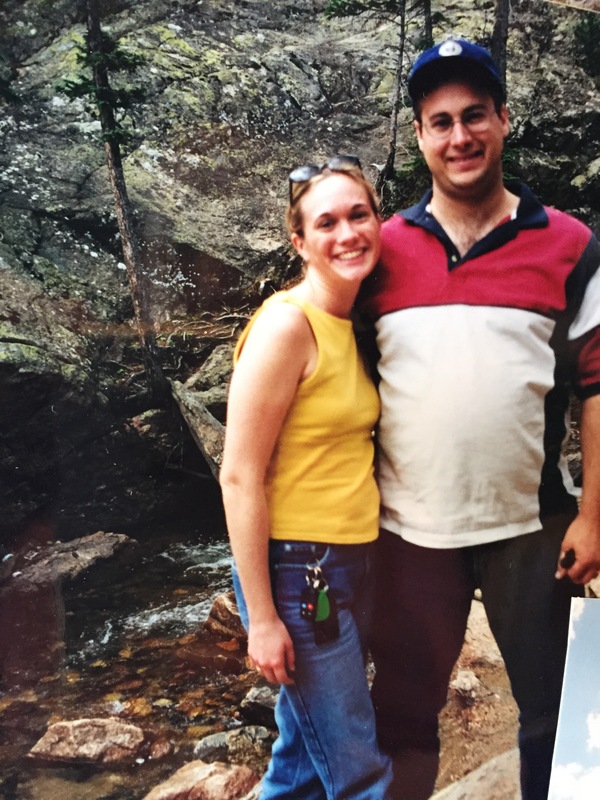 We’ve made a few visits with aunts, uncles and cousins in tow; and then in 2000 I first introduced my new husband to the mountains. Shortly thereafter, in 2005, a new generation made the sojourn. 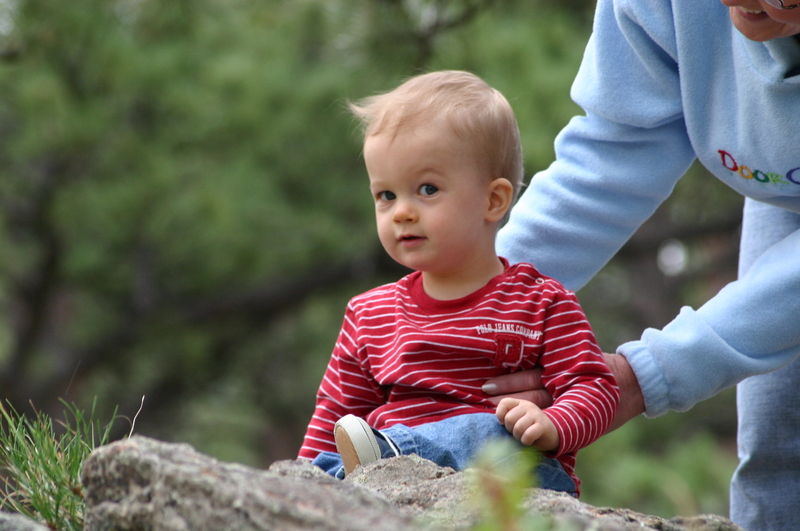 First steps, tantrums, giggles, tickles and new sibling squabbles began to permeate the cabin. Summers are formative and Colorado shaped me. It’s a place where I am filled with peace; where I can relive old memories; where I’m reintroduced to dreams and make new wishes; and sometimes, even where I again feel that angst of lost loves and late night phone calls. While lying in the double bed of our cabin, Mike sleeping in my sister’s old bed, my parents sleeping in their same room across the cabin, the memories vividly flash through my mind like the pages of a storybook, and I can actually feel the emotions of summers past. The Rocky Mountains bring me back to me – a me of then, a me of now. While the conversations change and the hummingbirds come and go, and whether I’m 12 or Mr. N is 11, meal time remains a lively tradition in the cabin. It begins in the kitchen and continues around the table long after the last bite is eaten. There are no distractions. No tv’s. No phones. No walkmans. No iPads. No drama. It’s family time. It’s our time. 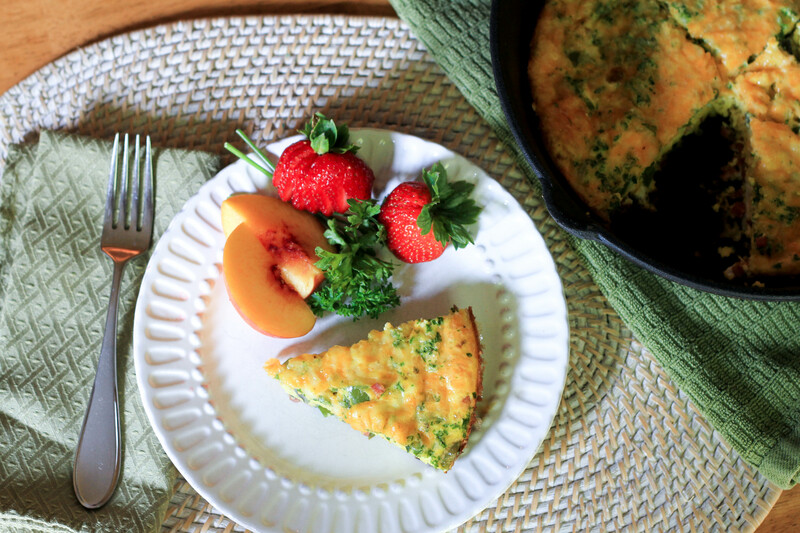 So today, in honor of Colorado and relaxed, sit down breakfasts, Miss A and I bring you a Denver Omelette Frittata. 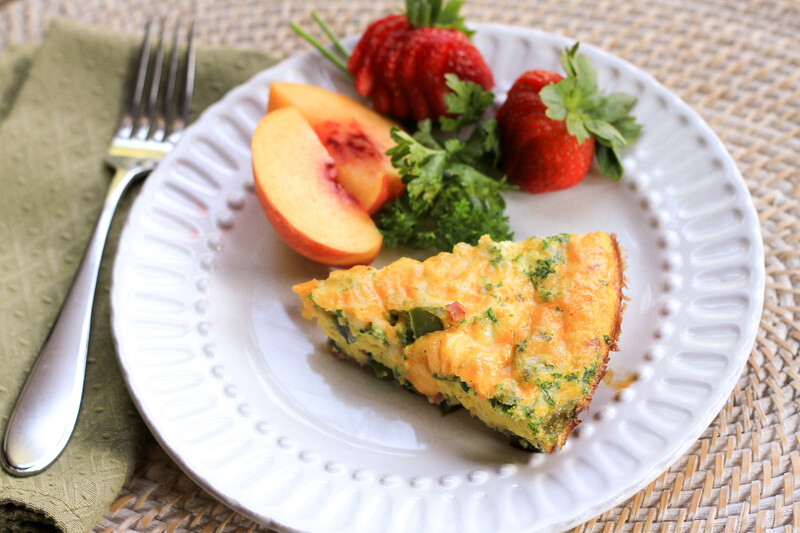 A frittata is a baked egg dish that can be prepared in advance or morning of, and makes great leftovers for the rest of the week. 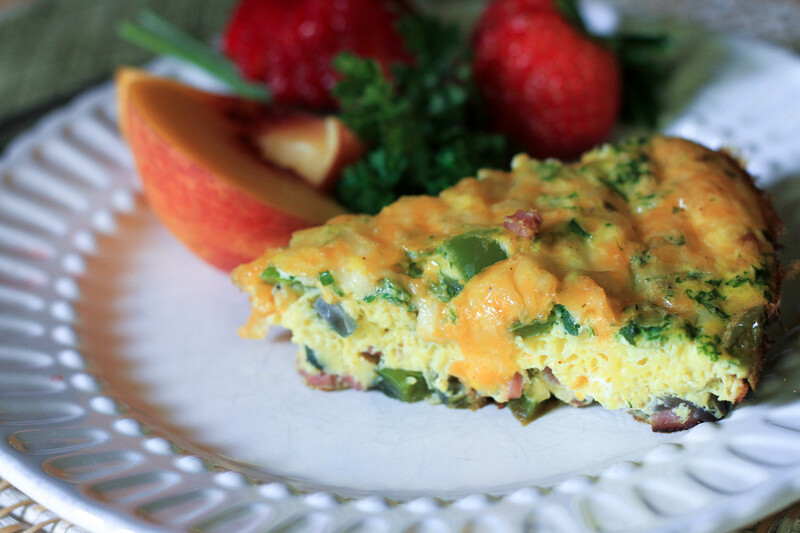 And a Denver, or Western, omelette combines eggs, ham, green pepper and onion with cheddar cheese. 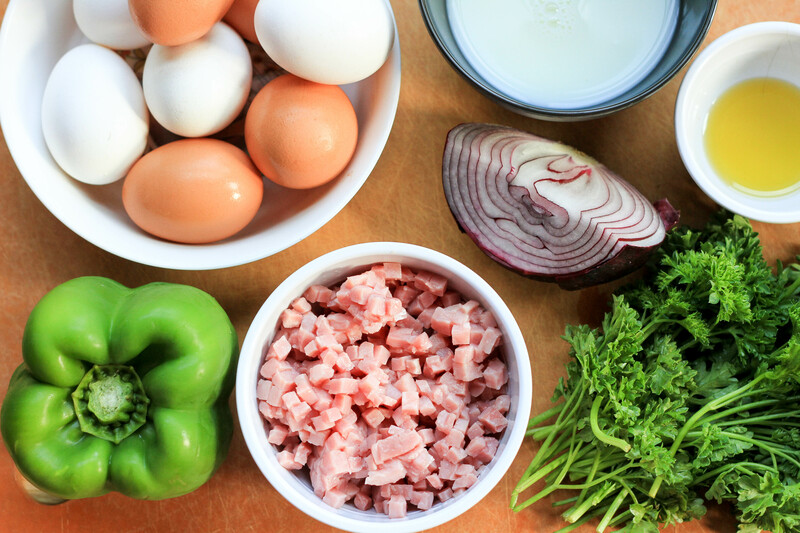 While it’s not known if the Denver omelette originated in Denver, it is believed that a scrambled egg sandwich with onions, peppers, ham and cheese was popular among cowboys and ranchers. 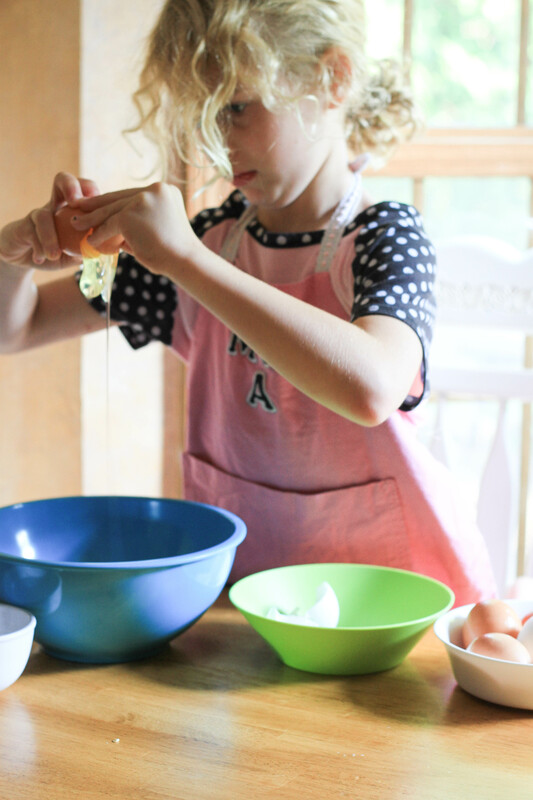 Miss A and I made our frittata last week, and like the mealtimes back in Colorado, we spent a morning free of distraction. 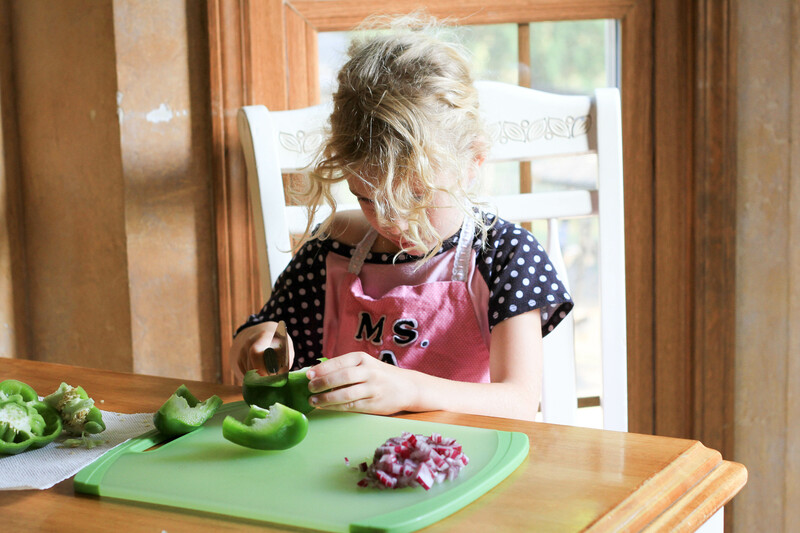 Miss A helped me chop the green pepper and onion, even slicing a few strips on her own. 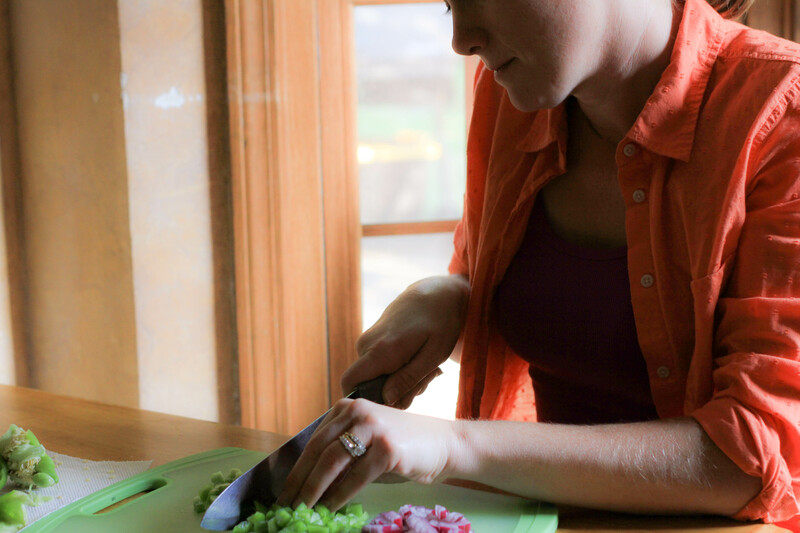 A little intimidated by the giant chopping knife, she then offered to take a turn with the camera instead. But the eggs were all hers for the cracking! 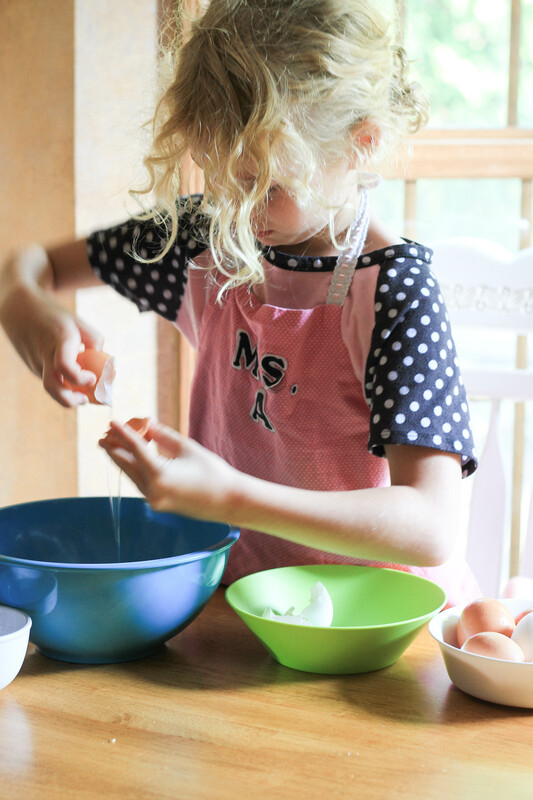 We mixed Miss A’s beaten eggs with milk, fresh parsley, salt and pepper. 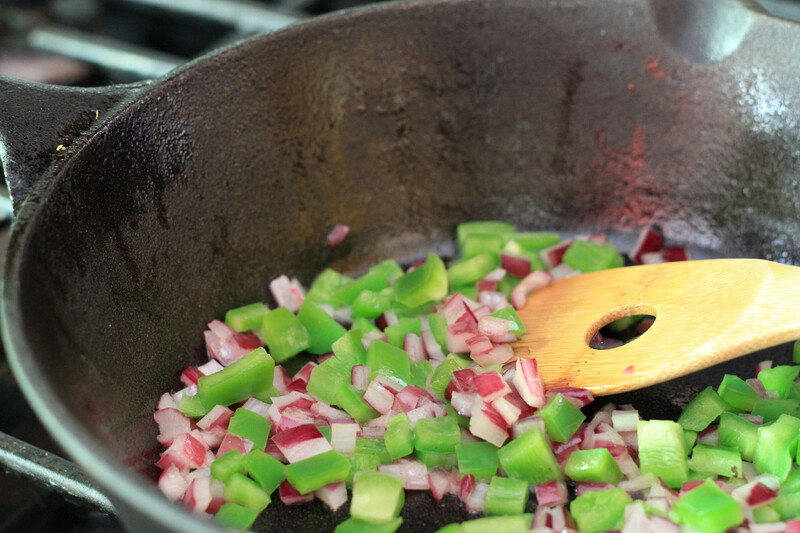 Then we sautéed the green pepper and onion in a cast iron pan. Once the veggies were ready, we added the ham to the skillet (pre-cooked and diced for convenience), and poured the eggs over the veggies, directly into the pan. Miss A then topped the eggs with the cheese (sampling some in the process of course!). We baked the frittata in the iron skillet at 400F for about 25 minutes and let it cool for five. 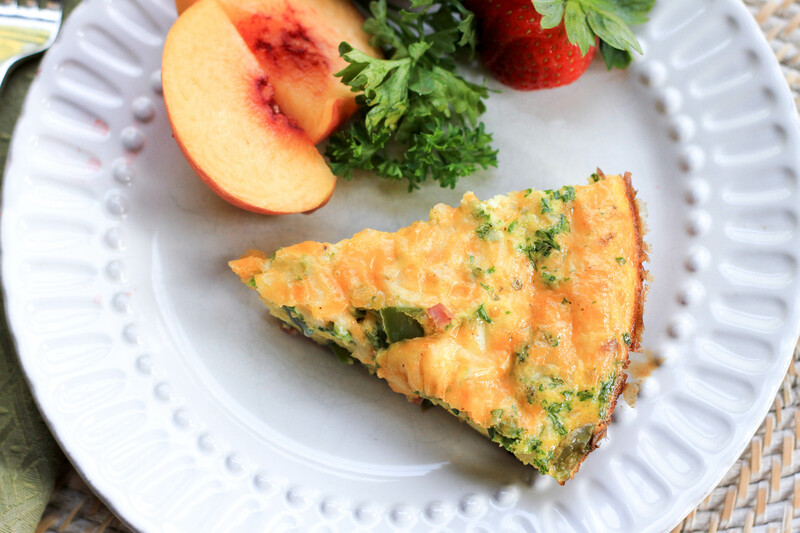 We served our frittata with fresh fruit and pressed juice. Mike was the biggest fan of the baked, cheesy egg dish. In fact the Denver omelette is one of his favorites. He gave breakfast 4 spoons. Miss A and I each gave the omelette 3 spoons. She wasn’t thrilled about the green peppers, but actually ate a few. I dipped mine in ketchup. Eggs and ketchup are inseparable to me. Mr. N was our dissenter this time around. 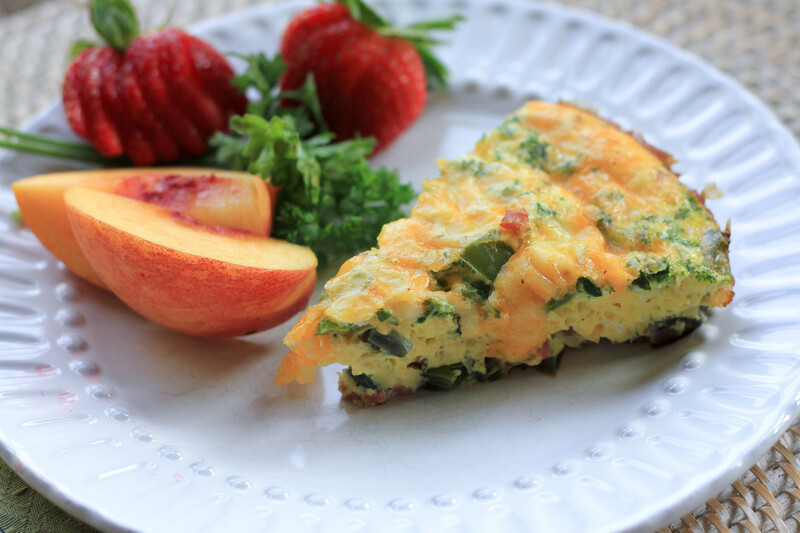 He gave the Denver Omelette Frittata 2 spoons; although he did still eat it for breakfast before school this week. This was an easy one pot dish that was full of fresh flavors and cheesy goodness. A small piece is filling and packs enough protein to keep you satisfied until lunch. It’s perfect before a hike in the Rockies, or the walk to middle school. As we were packing up the cabin before our departure, we realized something. If we wait another five years between visits, our Mr. N will be of driving age!! Cue the teenage angst (which already was popping up in pre-teen form on a hike or two this year) and mom’s gray hair (also already popping up). I don’t know that Colorado will have the same formative effect on my two kiddlets as it did me, but I do know that they too will have some pretty amazing and lasting memories. And those cabin walls, well they’ll have a few more smiles, tears, hugs and sticky marshmallow fingerprints left behind. Beautiful post and fun memories. That reminds me I have an entire box of old photos that need to be scanned. Your trips to Colorado reminds me of our camping trip as we used to call them going “up North” or as my youngest called it “up Norf” as we were working on his 2 year old pronunciation. Now that 2 year old is 17, where has that time gone? 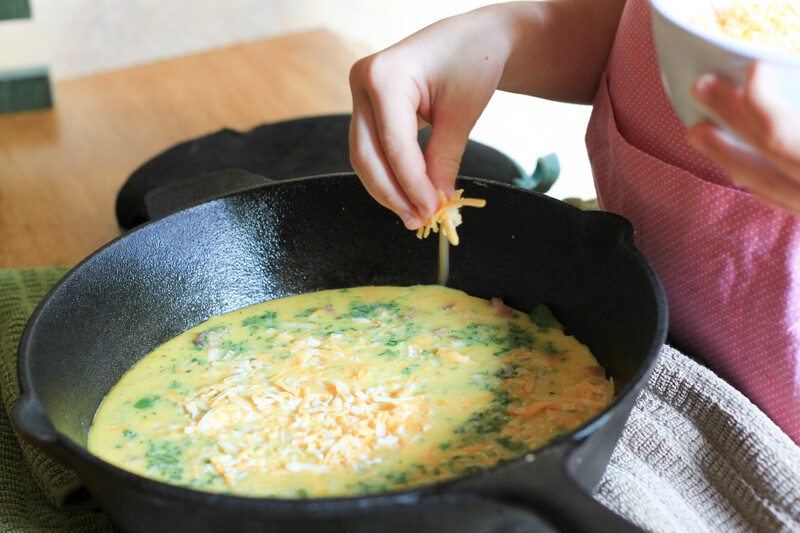 I love frittatas and yours is extra delicious as the kids are helping you make it. Nice post and the memories you share, need to scan my old photos now and try visit the old places weve been. 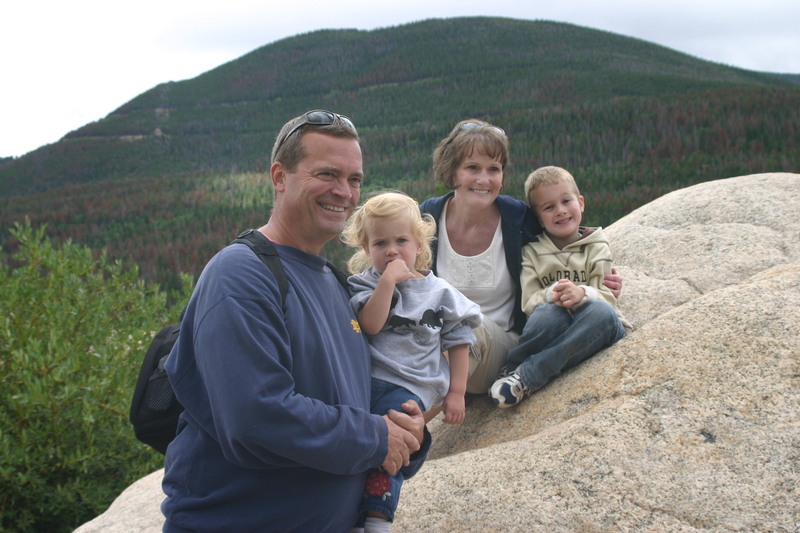 Thanks for sharing your family trips to the Rocky Mountains with us, and now with your children, I am sure they will have the same great memories to share with their children. Miss A is not only a gardener but a cook also, the 2 do go hand-in-hand. 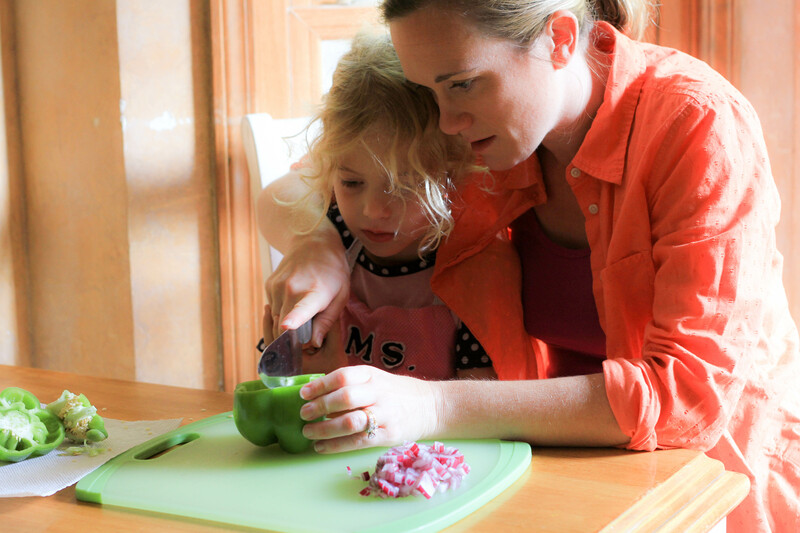 With your guidance she will definitely be a successful gourmet cook. Love your photos and that omelette looks absolutely scrumptious, I’d probably give it four spoons too! 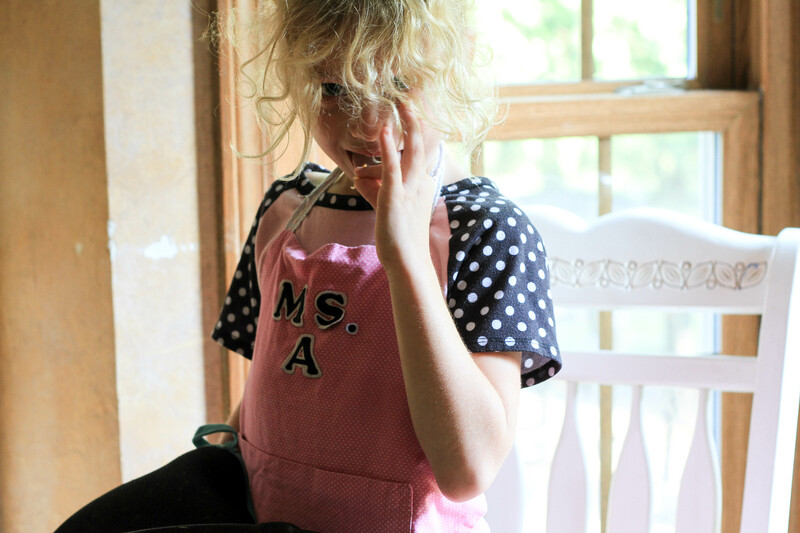 It’s so nice the Miss A likes to help in the kitchen, she looks like such a natural. Your trip to the Rocky Mountains sounds wonderful, there is something so calming about being in the mountains, I’ve always found it very soothing. Your family trips sound so special, such beautiful memories to have. Loved viewing the photo retrospective… that image of Mr N in the striped red shirt is simply priceless — he had the actor’s gaze even back then ;-). Those teenage years.. the best of times, the worst of times and everything riding on it. I remember well and we find ourselves having to keep it all in mind (with a good pinch of patience and lots of deep breaths) as we navigate the delicate waters with our young men. You certainly are an adventurer Kristy – I have lots of fun experiencing the energy and thrill through you and your lovely writing. 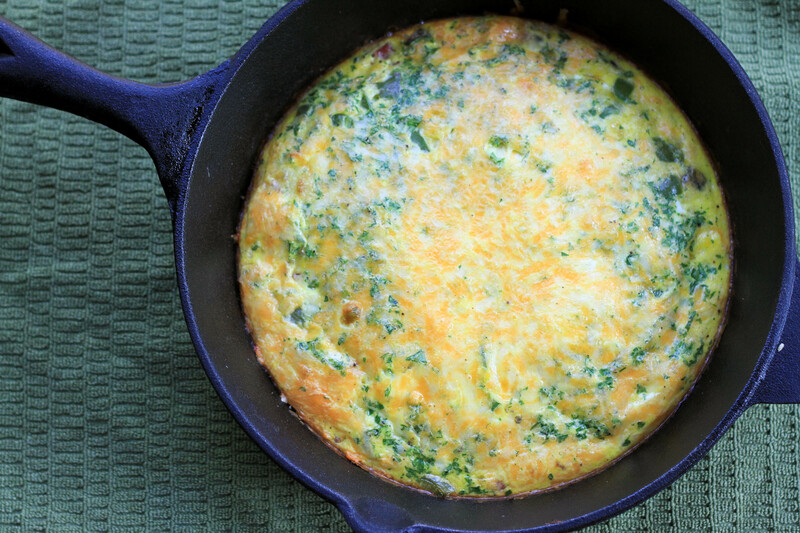 Your frittata by the way is gorgeous! Love how you’ve accompanied it with fruit (the peaches have the prettiest light – soft and peaceful, in your photos). Beautiful post my friend. What a wonderful read Kristy. I am sure Mr N and Miss A will love it as much as you have through the years. I think they do Mandy! 😉 Have a beautiful day! Xoxo Definitely sooner than five years. That is one of my favorite places on earth – when we lived in Denver, we would go every chance we could. I love seeing your pictures! !